The Star stood out amongst competition and was voted the winner of the Golden A’ Design Award in Architecture, Building and Structure Design 2014. This prestigious award is given to the top three percentile of designs that deliver an exemplary level of sublimity. These designs are judged by a panel of three different jury groups comprised of academic, professional and focus group members. The designs are evaluated and are voted on aspects such as functionality, ergonomics, engineering, presentation, innovation, usability, fun details, technology, and any other intricate details. 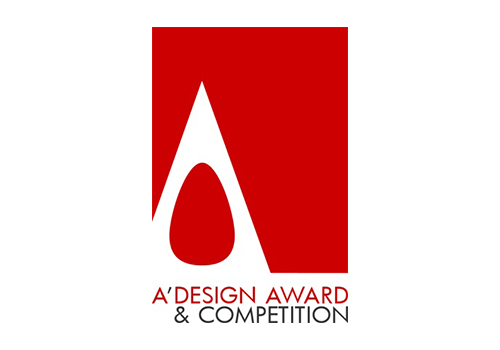 A’Design Award and Competitions highlight the best designs, design concepts and design oriented products. Organised and awarded annually, it recognises the best designs internationally in multiple categories to reach a wide, design-oriented audience. The Integrated Hub @ one-north won top accolades for architecture. Designed by Andrew Bromberg, executive director of Aedas Asia, it nabbed the Five-star Award for Best Architecture in the Asia Pacific Commercial Property Awards 2009. This five-star distinction sets The Star apart from most winning entries, which only garnered Four-Star awards. Best Architecture in the Asia Pacific Commercial Property Awards is widely recognised as the highest mark of excellence in the property and real estate industry. Bagging the above awards places the Integrated Hub @ one-north among the world’s best and most prestigious properties. Mr Andrew Bromberg, executive director of Aedas Asia and designer of the Integrated Hub @ one-north, receiving the Best Architecture award from Mr Roy Ling, vice president of JP Morgan CFA, CFA managing director of RL Capital Management and a judge for the International Property Awards. In recognition of the environmentally friendly features in its design as well as construction, the Integrated Hub @ one-north was awarded the Building and Construction Authority’s (BCA) Green Mark Gold Award 2009. This award was revalidated in 2015. 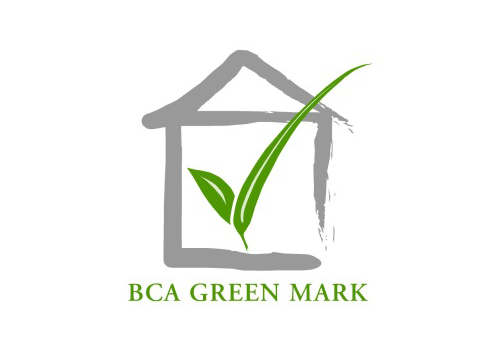 The BCA Green Mark award scheme aims to encourage and reward developers who incorporate the innovative use of greenery, energy- and water-saving features, as well as healthy indoor environments into their buildings’ designs. Points are scored when a building’s “green credential” exceeds standard practice. Designed by Andrew Bromberg, executive director of Aedas Asia, the Integrated Hub @ one-north, listed as the Civic, Cultural & Retail Complex, Singapore, received a commendation from the MIPIM Architectural Review Future Projects Awards 2010 under the Mixed Use category. Established in 2002, the MIPIM Architectural Review Future Projects Awards is organised by Reed MIDEM, one of the leading international real estate forums that brings together industry decision makers from around the world. The forum allows industry players to establish dialogues for fruitful collaborations and lasting relationships, and acts as a platform to present new projects. The 2010 awards, which took place between 16 March and 19 March in Cannes, France, attracted over 20,000 delegates. With a strong focus on creativity, the awards provided a platform for exemplary architecture to be showcased. Each entry was assessed based on meeting the client’s requests and specifications, and the impact and contribution that it will make on the community. The Integrated Hub @ one-north was exhibited at MIPIM and published in the official MIPIM Architectural Review Future Project catalogue. A nod to its complex geometrical structure that embodies local cultural themes, The Star was awarded the Global Best Projects Award in 2014. Industry veterans also noted the highly productive collaboration and efficient construction in awarding this accolade to The Star. 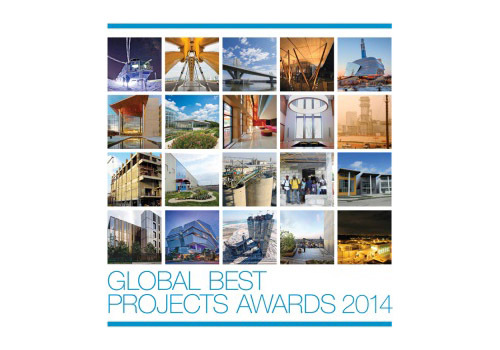 This annual award spotlights the challenges, risks and rewards of designing and building internationally. Judges evaluate projects in different markets, and examined safety, innovations, challenges, and design and construction quality. Special emphasis is placed on the diversity of project teams and their teamwork. Safety is also a major criteria in judging. Outstanding projects, including The Star, were honored on May 13 at the ENR+Dodge 2014 Global Construction Summit in New York City. For the innovative, efficient and productive use of steel structures in the built environment, Rock Productions Pte Ltd’s Structural Steelworks sub-contractor M/s Yongnam Engineering & Construction Pte Ltd won the Trophy Award in the Structural Steel Excellence Awards 2012, organised by The Singapore Structural Steel Society (SSSS). 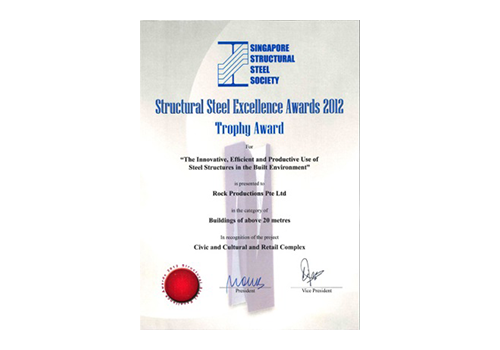 Since 2002, the Structural Steel Awards have recognised steel structural engineering excellence, and rewarded the work of the most talented structural designers/architects and steel fabricators for their important contribution to the built environment. The objective is to celebrate the excellence of Singapore in the field of steel construction, particularly demonstrating its potential in terms of efficiency, cost effectiveness, aesthetics and innovation. The Integrated Hub @ one-north, designed by Andrew Bromberg, executive director of Aedas Asia, received the Cityscape 2010 Award for Architecture under the Commercial and Mixed Use (Future) category. The Cityscape Awards for Architecture rewards excellence in architecture and design from emerging markets in the Gulf States, the Middle East, Asia, Africa, South America, Latin America and South and East Asia. Besides recognising real estate professionals and architects who have displayed stellar performances, visions and achievements, the Awards also rewards developments and projects that have outstanding designs. Within the main award categories, hundreds of entries vied for the top spot. Each entry was reviewed and assessed by a panel of high-profile, international judges before the winners were announced. 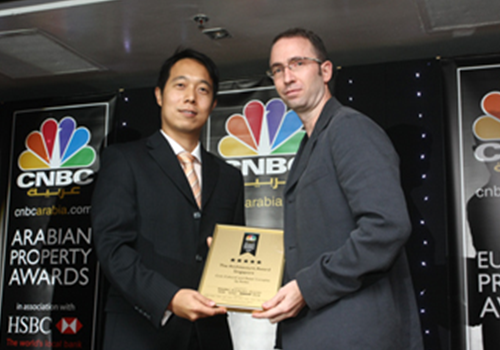 The 2010 Awards gala was held at the Grand Hyatt Dubai on 5 October 2010.